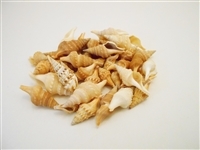 These shells are hand selected for Arts and Crafts projects like Sailors Valentines and anywhere where the smallest shells are needed. 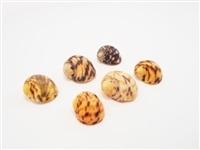 Money Cowrie 1/2" - 1" (16-32 mm) ea. 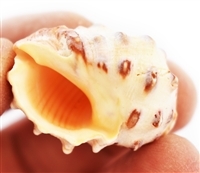 The perfect shell for Beach Jewelry and Ocean Crafts, Nautical Decor and Aquariums. 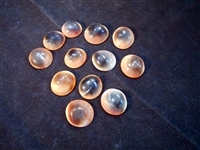 Hand Selected Red Cat Eyes are perfect for Shell Crafts and Nautical Projects. 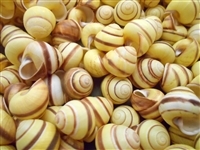 Fernandezi Land Snails (1") ea. 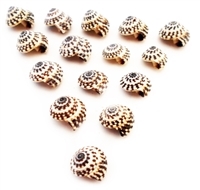 Great brown shells for Beach Crafts and Nautical Decor. 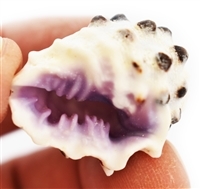 Awesome for small Hermit Crabs. 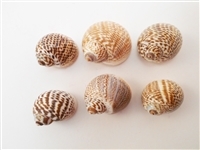 Hand Selected Green Cat Eyes are perfect for Shell Crafts and Nautical Projects. Shiva Shell Jewelry is said to ward off the "Evil Eye"
Size Range: about 2"- 3"
Natural Green Color, not dyed. 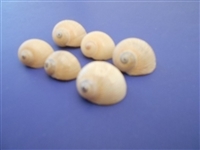 Polished Hawaiian Limpets 1" - 1 1/2" (26-38 mm) Ea. These natural beauties look just like a little strawberry, Red with Black Spots. Perfect for Sailors Valentine and Nautical Crafts. 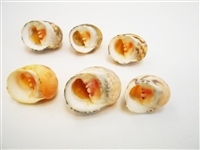 Super Tiny Yellow Seashells for Sailors Valentines and Beach Crafting where the smallest seashells are needed. 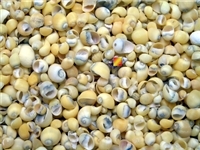 Super Tiny Yellow / Green Seashells for Sailors Valentines and Beach Crafting where the smallest seashells are needed. 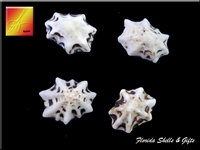 Super Tiny Black Seashells for Sailors Valentines and Beach Crafting where the smallest seashells are needed.